The story from the Wurundjeri people, the traditional owners of the Melbourne district of Australia, of why the Koala doesn’t drink water. 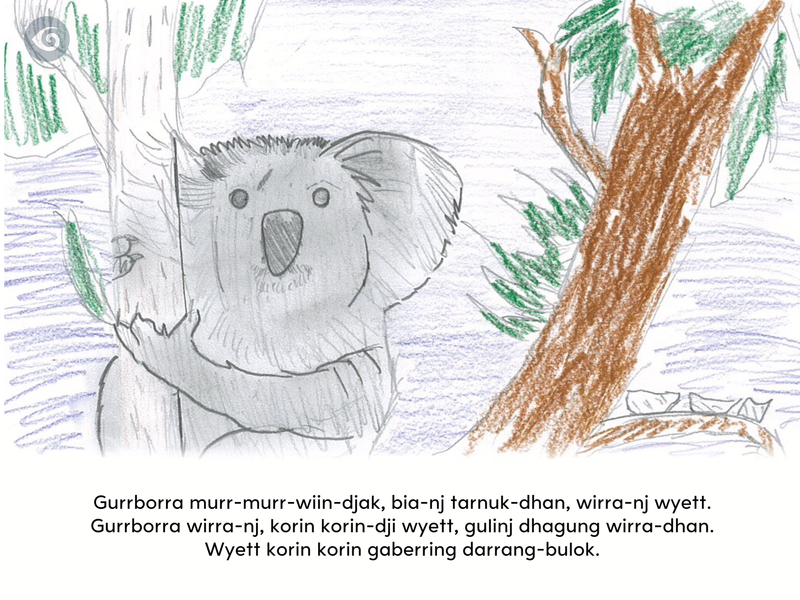 As part of the project 15 indigenous students from Thornbury Primary School were selected to create illustrations and record narratives for the digital storybooks. 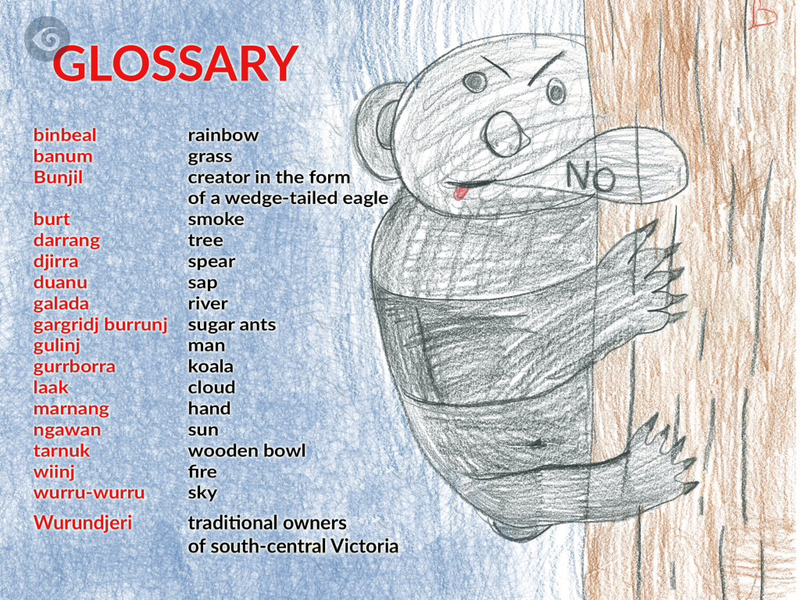 The student’s creative use of language, art and technology has enabled the telling of Balayang Wurrgarrabil-ut (Why Bats are Black), Dulaiwurrung Mungka-nj-bulanj (How the Platypus Was Made) and Gurrborra Nguba-nj Ngabun Baanj (Why the Koala doesn’t Drink Water) to a global audience. 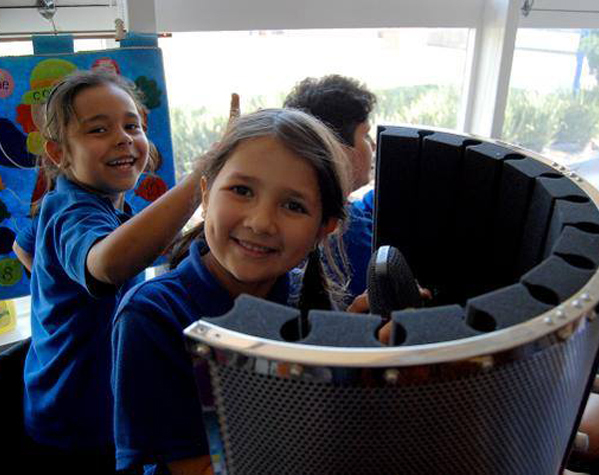 The development of these digital resources will support language reclamation and revitalisation activities in Victorian schools and communities.